Screaming speed and serious classic metal style. 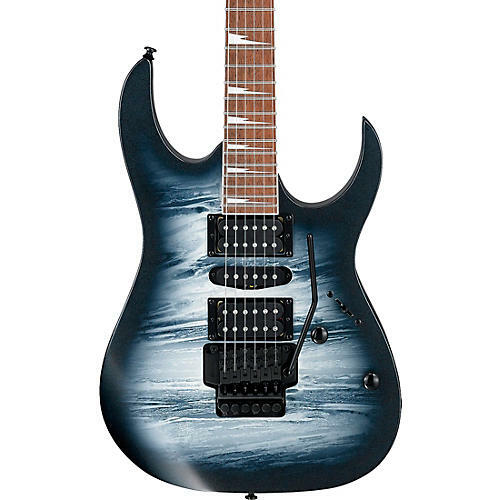 If Ibanez holds the most iconic name in metal, then the RG is certainly the guitar that built this reputation. Every inch of this classic screams speed, fury, and expression. The RG470DX features the legendary thin, Wizard III Maple neck, revered for both its playing comfort and unparalleled speed. A bound Jatoba fingerboard with Sharktooth inlays rounds out the visuals. Proprietary Quantum pickups for a focused, vintage meets modern, vibe and you’ve got a guitar that’s every inch a pure metal machine. Get a metal icon. Order your RG470DX now.